The range of ONS-M inverters 48Vdc/230Vac or 110Vdc/230Vac is the best solution to secure your AC applications. The output power is configurable from 2.5kVA to 80kVA. 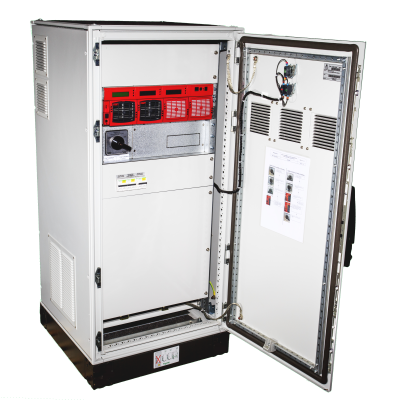 Its modular design increases the availability rate of your secure power supply.